Israel helping Egyptian President el-Sisi fight ISIS in northern Sinai, report says. 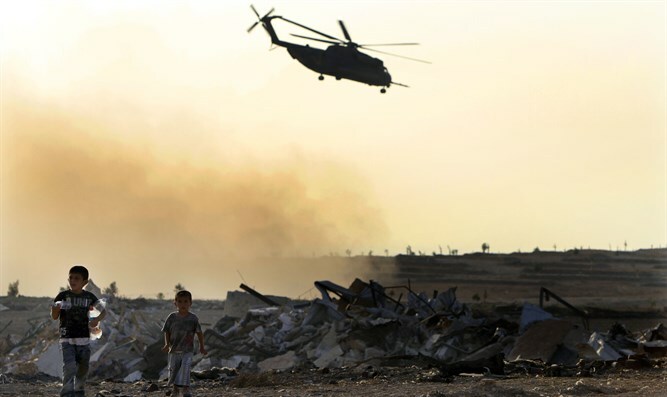 Israeli aircraft attacked targets in Egypt's Sinai Peninsula over 100 times in the past two years, The New York Times reported. The attacks were carried out at the request of Egyptian President Abdel Fattah el-Sisi, in order to aid Egypt in fighting against ISIS terrorists in northern Sinai. The report is based on US and British sources, who were and continue to be involved in regional issues. According to the US sources, Israel's drones are unmarked and were hidden by military helicopters and planes. Some of them flew in circles, in order to create the impression that they had left Egyptian military bases. The article also said Israel's aid to Egypt began immediately after ISIS downed a Russian plane in 2015.